The featured speaker at the New York Thoroughbred Breeders’ Inc. Sunday, October 14 meeting “How to Develop a Strategy for Success: Equine Business Consultation” will be Leonard C. Green, CPA, MBA. Green has extensive credentials, three decades of experience in the thoroughbred industry and a long list of accomplishments which should make for a highly informative discussion about succeeding in today’s challenging equine business environment. Given the open format of the seminar-style meeting, Green has also asked NYTB to solicit questions from attendees in advance about any topics they would like to see discussed. Questions may be emailed to info@nytbreeders.org. A New Jersey Certified Public Accountant, Leonard Green is a graduate of the Harvard Business School Owner / President Management Program. He holds a master’s degree in Taxation, with Honors, from New York University and an undergraduate degree in Accounting from Rutgers University. For 17 years Green has taught entrepreneurship and family business courses at Babson College. Green has been involved in the thoroughbred industry as owner, breeder and consultant for more than 30 years. He is the managing partner of DJ Stable, LLC, a successful racing operation which has won 2,300 races at 13 different racetracks and has bred and/or owned 80 stakes winners, including grade 1 winners Songandaprayer, Do It With Style, and Hoppertunity. DJ Stable bred or owned champions Larkwhistle, November Snow and Rhum and has earned eight individual leading owner’s titles at four different race tracks including Monmouth Park and The Meadowlands. The operation is responsible for the sales of approximately $35,000,000 worth of horses, including five horses for $400,000 and up, and 24 horses for over $250,000 and up. Green is also Founder and Chairman of New Jersey-based accounting and equine advisory firm The Green Group, which specializes in the thoroughbred industry and has over 400 accounting clients in the thoroughbred and standardbred industries nationwide, including partnerships, syndications, owners, trainers and breeders. The Green Group has successfully handled over 100 IRS matters within the horse industry and he has done valuation work both for clients and in connection with legal disputes. In addition to his classroom duties at Babson, Green has been a featured speaker at the annual Kentucky Legal Conference (UKCLE) in Lexington which is annually attended by almost 200 legal, insurance and business professionals, a regular speaker at Monmouth Park, the New Jersey State Bar Association and a number of Thoroughbred Owners and Breeders Association (TOBA) sessions. He has also been featured on CNBC “Business to Business” for stories focusing on making money in the horse breeding and racing industries. 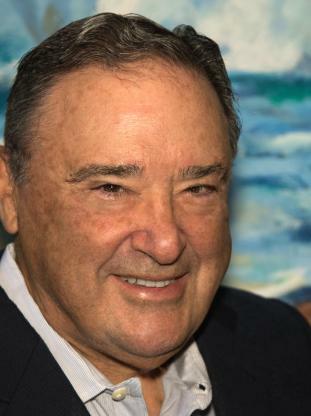 A monthly columnist on the horse business for the shuttered Thoroughbred Times, in 2017 Green released a top selling business book, The Entrepreneur’s Playbook. The NYTB Educational Committee is thrilled to offer the opportunity for New York thoroughbred breeders to benefit from Len Green’s extensive equine, business, and accountant expertise at our upcoming seminar. Thirty years breeding, owning, racing and selling thoroughbreds have shaped his unique perspective on how to surmount the often difficult business and financial challenges we face in our industry. The seminar, which is scheduled to take place the day before Fasig-Tipton’s Saratoga Fall Sale and includes the 2018 Annual NYTB Membership Meeting, will begin at 5:00 p.m. at the Fasig-Tipton Sales Pavilion. The entire event is sponsored by the New York State Thoroughbred Breeding & Development Fund Corporation and will be immediately followed by a complimentary guest cocktail hour and barbeque for all RSVP’d guests in attendance. Those who wish to attend must RSVP to the NYTB office by October 11 at (518) 587-0777 or info@nytbreeders.org. Click here for seminar flyer.